I often tire of sweet tasting energy drinks on long rides, and I've also found that protein greatly improves my endurance and energy levels toward the end of a ride. 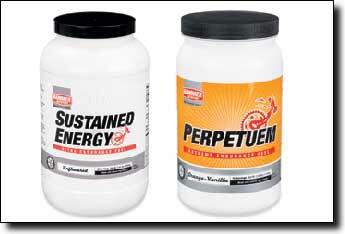 Hammer Nutrition's Sustained Energy powder is an endurance drink with relatively little taste. It's primarily maltodextrin (with some other sugars) and soy protein mixed in a 7-to-1 carbohydrate-to-protein ratio. Hammer's Perpetuem uses similar ingredients in a 9-to-1 ratio with a small amount of fat, marketed for ultra endurance rides. Another popular endurance drink, Accelerade's main claim to fame is its 4-to-1 carbohydrate-to-protein ratio, which many studies have shown is the best ratio for recovery drinks. 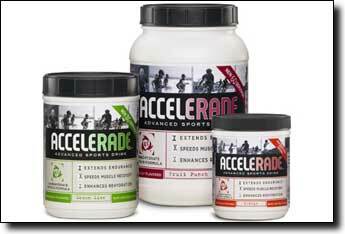 Accelerade uses sucrose and whey protein; I've found maltodextrin and soy protein work better for me. Soy contains antioxidants and research has shown it reduces exercise-induced inflammation. Accelerade is flavored, and many don't care for the taste. 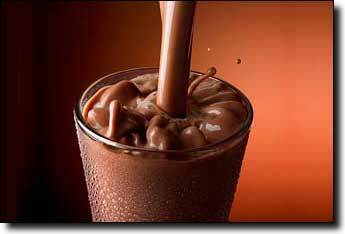 Lowfat 1% chocolate milk is a good recovery drink. While it does have a reasonable 3.3-to-1 carbohydrate-to-protein ratio (brands differ slightly), lowfat milk contains less easily absorbed simple sugar and a small amount of fat, around 15% of calories. Also some people are lactose intolerant. These factors make it less ideal as an endurance drink during exercise. 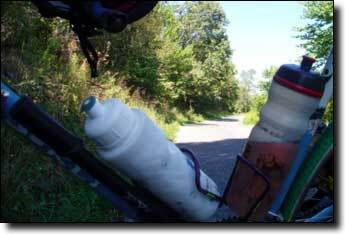 Still, it's tasty and a good source of calcium, and some people tolerate it well while riding at moderate pace. Note that plain lowfat milk has a much lower carbohydrate-to-protein ratio, around 1.5-to-1. Hammer Nutrition's Sustained Energy is relatively expensive for what you get, $1.56 for a 70 gram serving (including shipping). A 6:1 mix of maltodextrin and soy protein can be made for around 43¢ a serving (also including shipping), though it requires some work to measure and mix the ingredients. Buying the ingredients locally in bulk could gain even greater savings, maltodextrin is available online in 50 pound bags for half the price. I call this homemade mixture "Sustain." 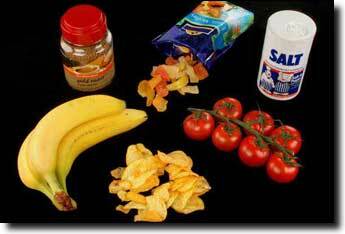 The mix ratio is 7:1 (by volume) which produces a 6:1 ratio by weight and calories. Mixing 7 cups of maltodextrin and 1 cup of soy protein produces about twelve 70 gram (267 calorie) servings, which mixes easily in an empty 4.5 pound Cytomax container. 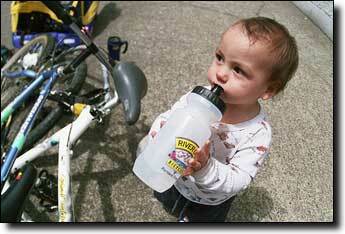 A 70 gram serving is about right for a large waterbottle, but you can mix it more or less strongly. 70 grams of the mix is 161cc by volume (approximately three 53cc scoops or four 39cc scoops). 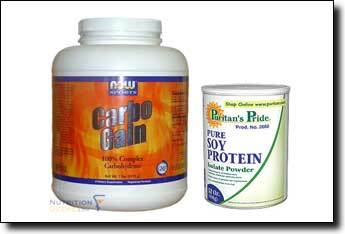 These powders also include some electrolytes. 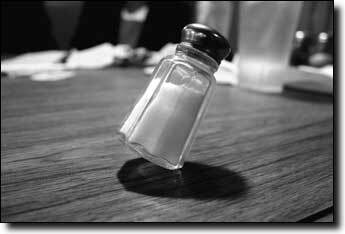 Studies have shown sodium (salt) is the most important electrolyte for energy drinks, other electrolytes (including potassium) are not depleted significantly on a long ride. The mix has a slightly milky taste and texture, and as with most drinks that contain protein it leaves a film in the bottle. The soy protein tends to foam so leave some space in the container when mixing, shake vigorously, then top off after the foam settles. Using a flavored soy protein will lend a slight taste to the product, I prefer chocolate myself. Or you can add an unsweetened powdered drink mix or fruit juice.